If you’ve seen this fella, bring him back. 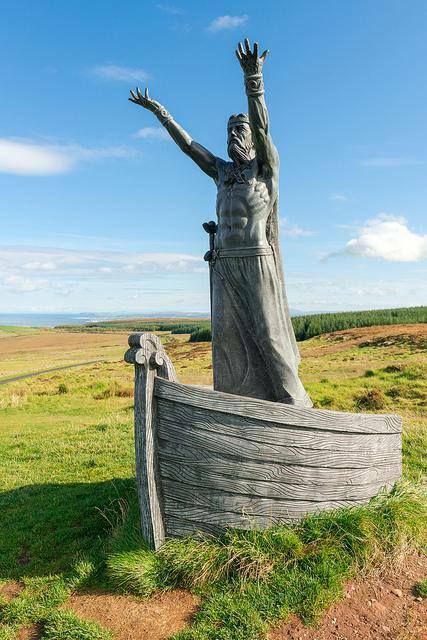 A statue of the Celtic sea god Manannan Mac Lir was stolen from an Irish mountaintop on January 21, the day Mercury, the planet of thieves, went retrograde. Although Manannan is the “son of the sea” and a deity of storms, but he has more in common with Mercury than Neptune. Manannan is a trickster (sometimes appearing dressed as a clown), a musician (he plays a harp) and he moves with ease between this world and the other world, just like his Greco-Roman counterpart. It will be interesting to see if the statue turns up again by the end of February, when Mercury turns direct. The police have put out a missing person appeal on Facebook.